Today is Dr. Seuss’ birthday and to mark the occasion Carnival Cruise Line held a fun, family-friendly event aboard Carnival Elation in Jaxport, part of a fleetwide celebration of the world’s most beloved children’s author. The event aboard Carnival Elation was highlighted by a book reading to students from Heart for Children — a Jacksonville-based charity that provides at-risk youth ages 5-17 with a safe and nurturing environment during the school year and summer – as well as donation from Carnival to the organization and, of course, a Dr. Seuss-inspired birthday cake and other treats. 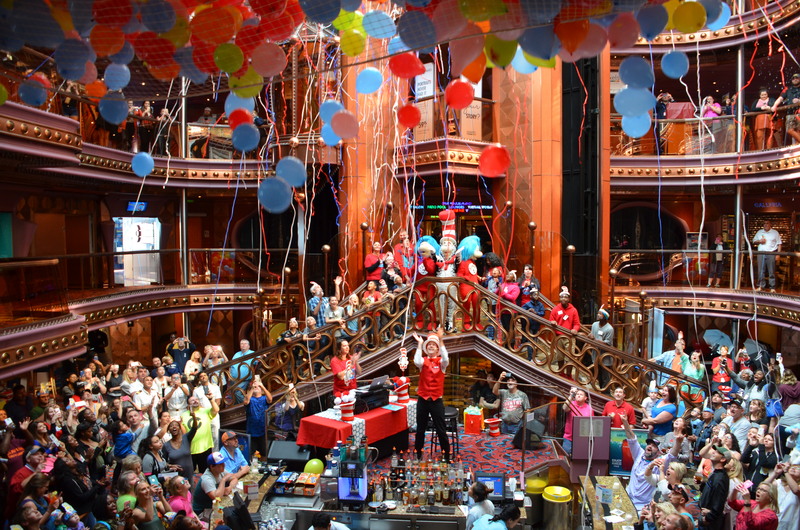 Designed to reinforce the importance of reading, the event also included activities like face-painting, arts and crafts and appearances by popular Dr. Seuss characters, including The Cat in the Hat, all culminating in a balloon drop in Carnival Elation’s massive seven-deck-high atrium. Similar events took place on other ships throughout the Carnival fleet. The festivities are part of Seuss at Sea, Carnival’s exclusive partnership with Dr. Seuss Enterprises that features fleetwide activities like the Green Eggs and Ham Breakfast with The Cat in the Hat and Friends, the Seuss-a-palooza Parade and Story Time and Dr. Seuss Bookville, a family reading venue on select ships. 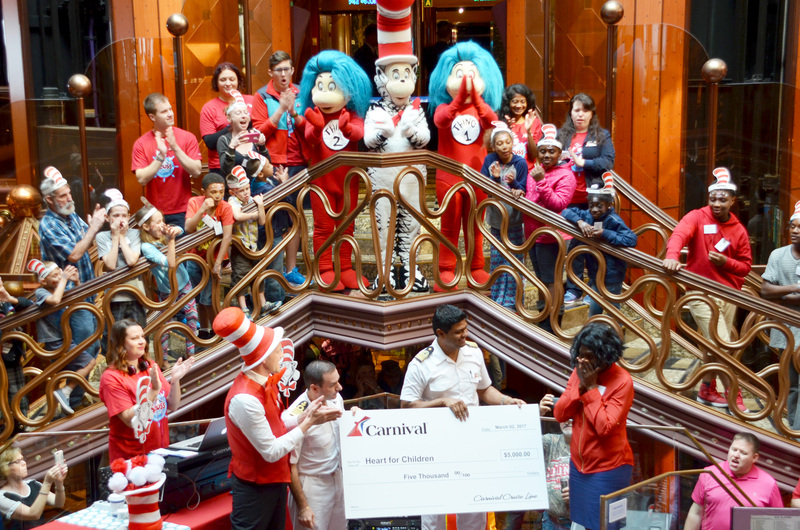 “Today’s event aboard Carnival Elation is a wonderful way to not only pay tribute to the incredible talent of the world’s most beloved children’s author but also to emphasize the importance of literacy and support one of Jaxport’s most deserving charities,” said Christine Duffy, president of Carnival Cruise Line. 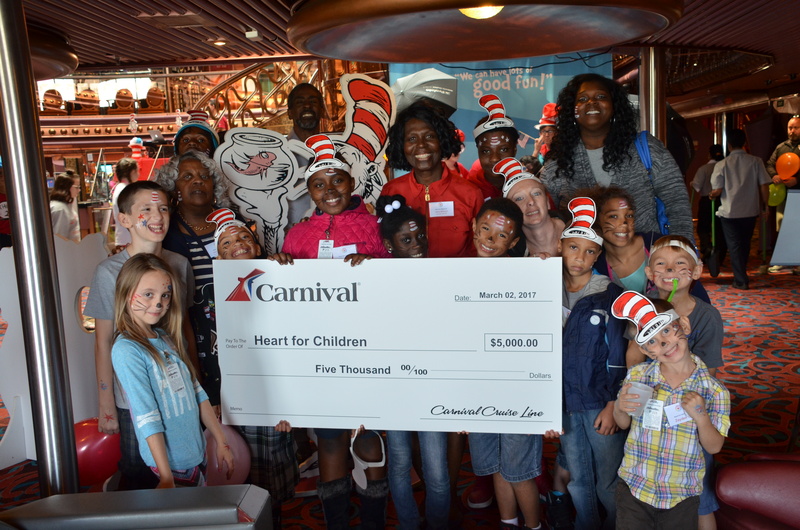 The donation to Heart for Children underscores Carnival’s commitment to the Jacksonville community. Carnival is the port’s only year-round cruise operator with the Carnival Elation sailing four- and five-day cruises and carrying 170,000 guests a year.